Actually I truly wanted to start my blog since years ago, but I always pesimistic. Well, pardon me.. I'm a negative oriented person, haha.. And I'm more like quite perfectionist also. So later that time, I didn't want to start a blog because I don't have any camera, 'coz I don't want to bored my reader with my words, pictures are always attractive. Then, last thursday, which is my 23rd birthday, a generous man, whom I don't know really well gave me this very expensive mirrorless camera, Sony Nex-5N! To be honest, I've been obsessed with this camera since 2011 (at that time, I was obsessed with Sony Nex-C3). It's small, compact, fit to people who loves travelling, the quality of the picture and all the settings are really close to DSLR, you can also choose what mode do you like; such as black and white, retro, toy cam, soft skin, etc. so you don't have to spend time editing with photoshop, its all in! The movie recorder is already Full HD and many more! This camera is just perfect with what I need, but this is not a cheap one. The price is around 6 millions rupiah and I just started working, so I saved my money month by month. Then in March 2012, they launched Sony Nex-5N (which is better that Sony Nex-C3 and also more expensive) but I'm in love with it. I keep saving and the plan was I'm going to buy this camera by the end of this month, I have planned this for the whole 2012. And just a week before my birthday, I even changed my obsession towards Sony Nex-5N, to Sony Nex-F5 (this one hasn't launched yet). 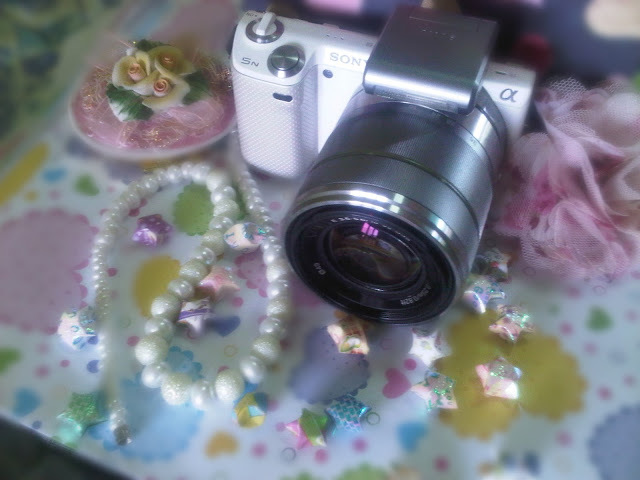 Thanks to Sony that launched Sony Nex-F3 just a week before my birthday! I was like hysterical seeing this camera, it has a flipping LCD! It would be so much easier for me who likes solo travelling to take pictures of myself without any confusion. This camera made me sad for days! Why? 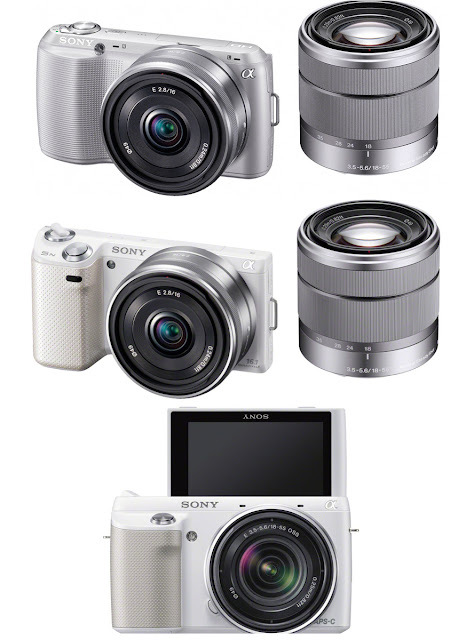 Because Sony Nex-F3 is bigger and heavier than Sony Nex5N and the LCD isn't touch screen also the specification is lower than Sony Nex-5N. But the flipping LCD is very very tempting! Anyway.. When I was scrolling down the Google about Sony Nex-F3, somehow I found about rumours that there will be Sony Nex-F5 which is exactly the same like Sony Nex-5N (or even better, they said it would be built in with wi-fi!) and it has a flipping screen also. It must be so cool! Well screw all of it, now I got Sony Nex-5N FOR FREE! Thanks God, Haleluya! I was like BEYOND happy! Even though I'm a bit scared about why? why? and why? did he gave it to me.. Because this is not just a hundred thousand rupiahs price, it's 7,8 millions rupiah! And I have like nothing to give him in return.. But he's just a very nice guy. I pray that he will be blessed for the rest of his life! Amen to that! So, yeah! This is when my story begins... I hope you all would enjoy what I wrote..